Wightlink will bid farewell to its oldest ferry St Cecilia on Friday 25 January 2019. She will be retiring to the Mediterranean, joining her sisters St Helen and St Catherine at the Italian ferry company Delcomar which operates services between Sardinia and its offshore islands. St Cecilia was launched at Cochrane Shipbuilders in Selby, East Yorkshire in 1987. It’s estimated she has crossed the Solent 200,000 times since then – that’s around a million miles. 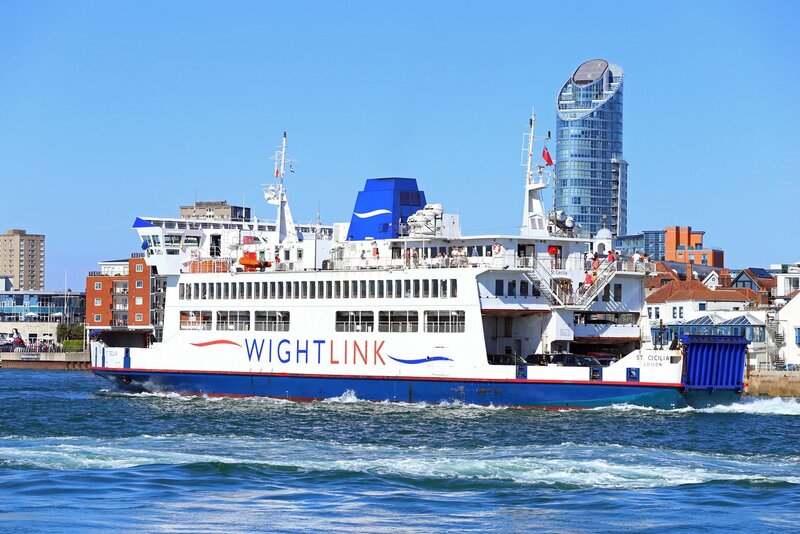 St Cecilia’s final departure this spring follows Wightlink’s £45million investment in a new hybrid energy flagship – Victoria of Wight – and port improvements at both Portsmouth and Fishbourne. During her time in the Solent, St Cecilia was used as a filming location for the BBC TV children’s programme Grange Hill and the French movie A Loving Father starring Gérard Depardieu. Although space is limited, some non-landing foot passenger tickets are available for St Cecilia’s final crossings. They will be the 10:30 sailing from Portsmouth and 11:30 from Fishbourne. Contact Karen Woods at karenwoods@wightlink.co.uk for further details. Note to editors: St Helen has been renamed Anna Mur and St Catherine is now known as GB Conte.